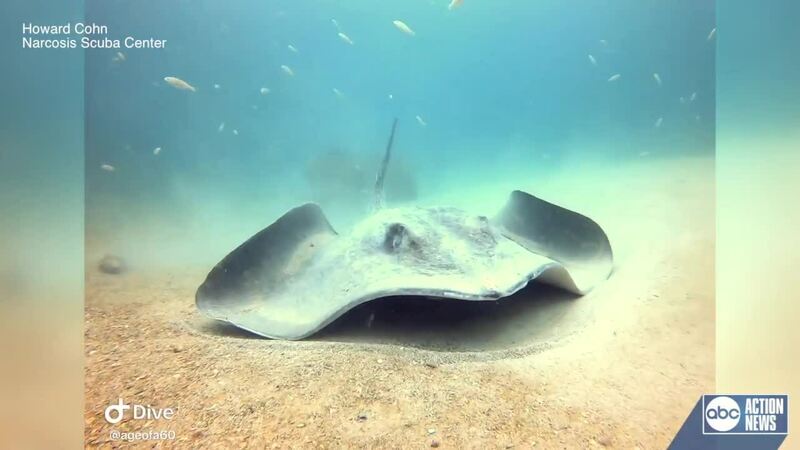 TARPON SPRINGS, Fla. — Two scuba divers caught an enormous stingray on video during an underwater excursion eight miles off Tarpon Springs last weekend. The stingray was resting on the Gulf of Mexico floor in the sand. The underwater video was shot by Howard Cohn, a Tampa Bay local, who was diving with Narcosis Scuba Center ’s Shawn Campbell. You can see how massive the sting ray actually is when Campbell swims next to it. 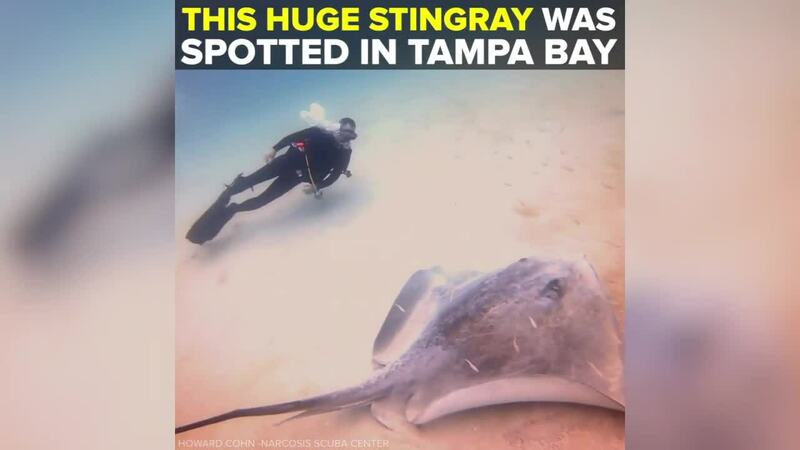 The divers estimate the sting ray was about 10 to 12 feet long, with the stinger.